Betty LOVES our annual Christmas parade. 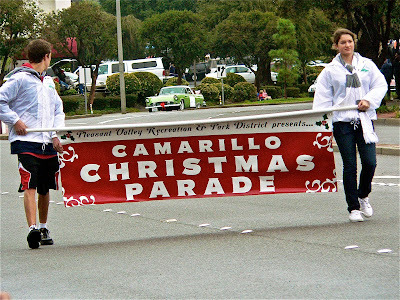 It is one L-O-N-G succession of scouts, horses, bands, floats and general, random people dressing up and walking down the street. I get a big kick out of watching it and cheering for the poop patrols and band parents. 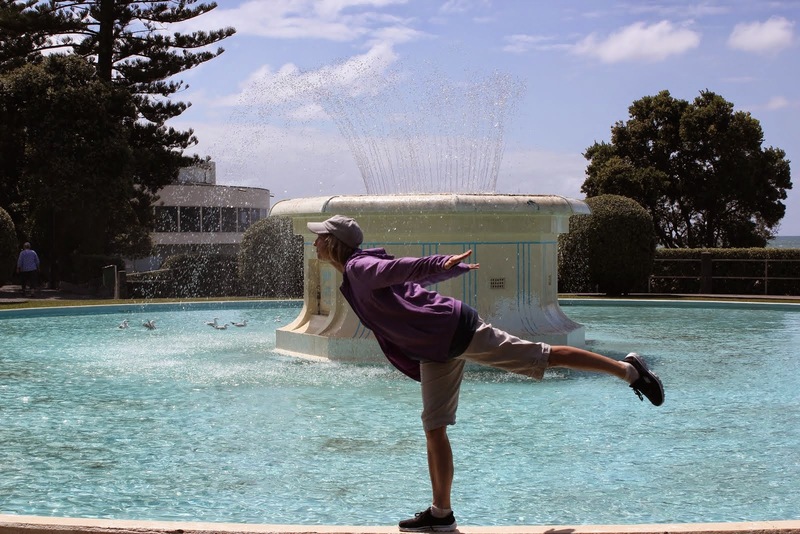 Here are a few pictures to give you a little flavor o' the day. Oh yeah! 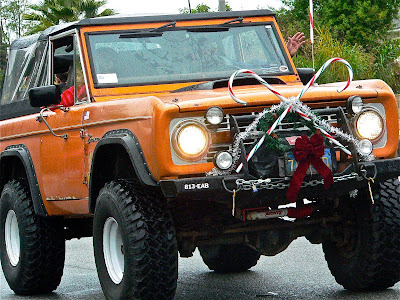 Nothing says Christmas like a four wheeler. We sit close so we can smell the exhaust. 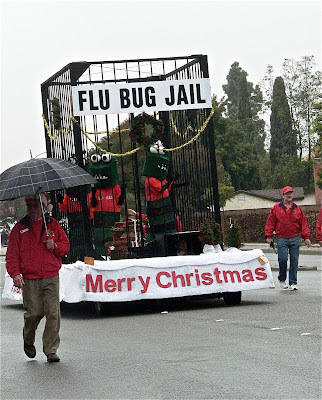 The theme of this year's parade was "Healthy Holiday" hence, the flu bugs in jail here. 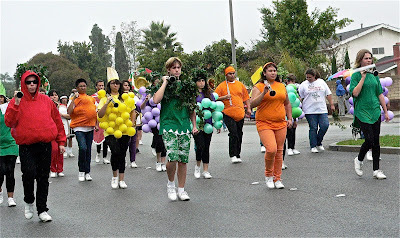 Band members dressed as fruits and vegetables. 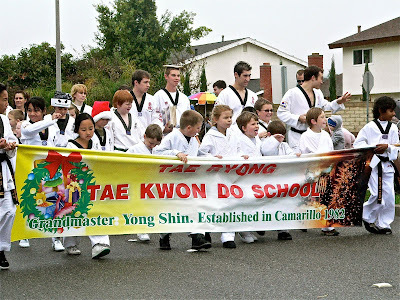 We love it when the Tae Kwon Do school stops and breaks boards in front of us. 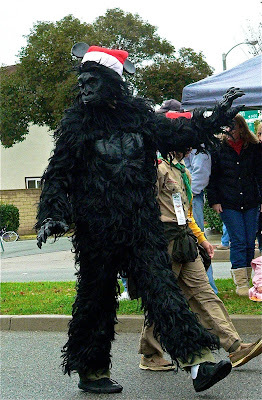 It's one of the highlights of the parade every year. Did I mention random people just sort of joining the parade? This was one of my favorites. I think he liked me! Such events are making the life more beautiful and amazing. In the http://www.essayheaven.org/american-writers-org-review/ there are awesome things to learn during the life.